London is a vibrant world famous metropolis which is home to millions of people. But what if we told you that there are amazing local areas which people don’t know about, at least not as much as they should. Here are four of the city’s most underrated districts which you can consider visiting or relocating to. The district of Wapping is located in the central parts of London and lies in the Borough of Tower Hamlets. It has a population of over 12.000 people and has a strong maritime character due to its close proximity to the Thames River. The area was the subject of a major regeneration project during the 1980s which converted most of its abandoned great warehouses into luxurious flats which are presently some of London’s most expensive properties. Wapping is home to several notable landmarks including the Execution Dock which was used by the Admiralty for over four centuries to punish pirates. The district has its own railway station which serves the London Overground and provides transportation services to over 1.5 million people annually. The area is mostly inhabited by young professionals and during the years has been the home of several celebrities. Bethnal Green is an area which lies in the Boroughs of Tower Hamlets and Hackney at about three miles from the intersection of Charing Cross. Over 27.000 people live in the district which is one of the city’s most desirable residential neighborhoods. Bethnal Green is home to one of London’s oldest secondary schools, Raine’s Foundation School. The educational facility was founded in 1719 and presently provides top quality secondary education to over 800 boys and girls from the ages of 11 to 18. The area is linked to the other parts of the English capital by a number of tube and railway stations. The presence of these transportation hubs has made the district an ideal base for commuters who have to travel on a daily basis to and from work. 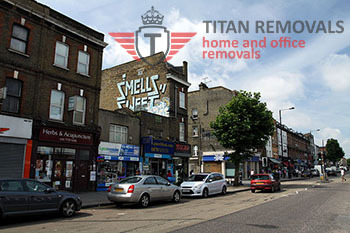 Moving to Bethnal Green is extremely easy as top quality man and van companies operate throughout the boroughs. The suburb of St. Margarets is as beautiful as the district of Richmond but much cheaper due to its low key status. It has a population of almost 4.000 people and is home to several top tier educational facilities which make it the ideal neighbourhood for families with children. St. Margarets Station is the district’s main transportation hub.